And that does it for the first segment of REPORT CARD SZN. 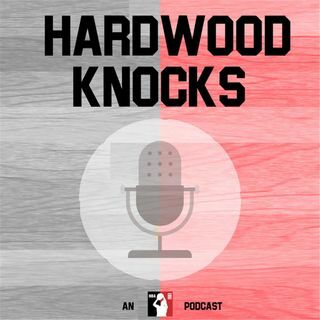 Hardwood Knocks finishes up its quarter-pole grades by breaking down the performances of the Hawks, Celtics, Nets, Bulls, Cavaliers, Hornets, Pistons and Pacers. Also, in case you didn't hear, the Bucks, Cavaliers and Wizards completed a three-team trade that left George Hill in Milwaukee, Cleveland with a bunch of picks, and Washington within striking distance of avoiding the luxury tax. The Baby Bulls attempted a mutiny against ... Maggiori informazioni head coach Jim Boylen, too. Andy and Dan dissect it all! For even more fun, be sure to check out our Western Conference report cards, which were separated into Part I (Jazz, Spurs, Kings, Blazers, Suns, Thunder and Pelicans) and Part II (Timberwolves, Grizzlies, Lakers, Clippers, Warriors, Rockets, Nuggets and Mavericks). You should also listen to Part I of the East (Wizards, Raptors, Sixers, Magic, Knicks, Bucks, Heat).